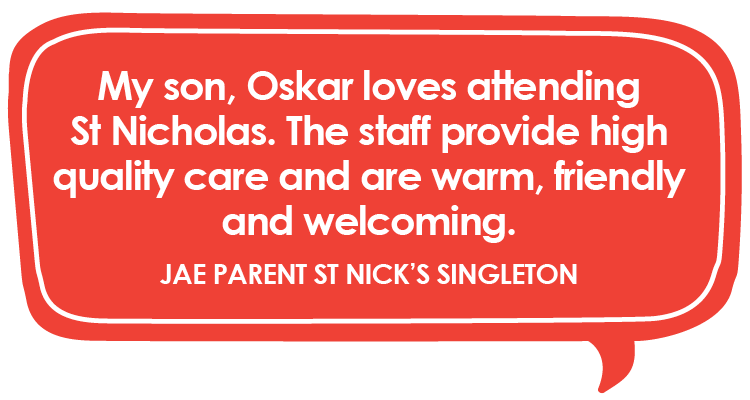 Sarah is a mother of two boys—one aged seven and one aged five—who have both attended St Nicholas Early Education Singleton. She loves sending her children to St Nick’s because it feels like a family to her. 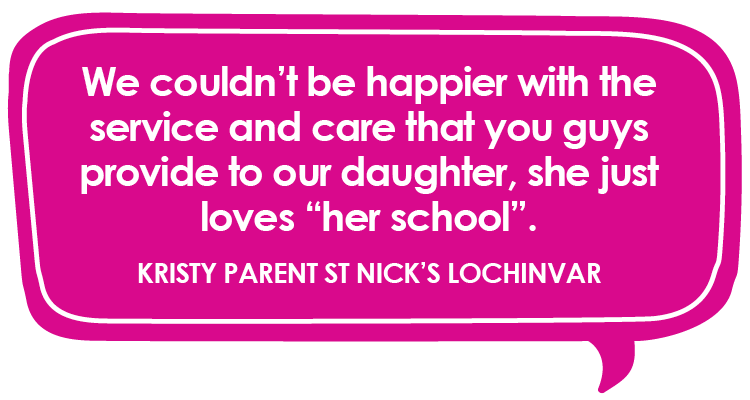 “The girls are a family here – you are treated as family. You see them out of work and they stop and say hello. 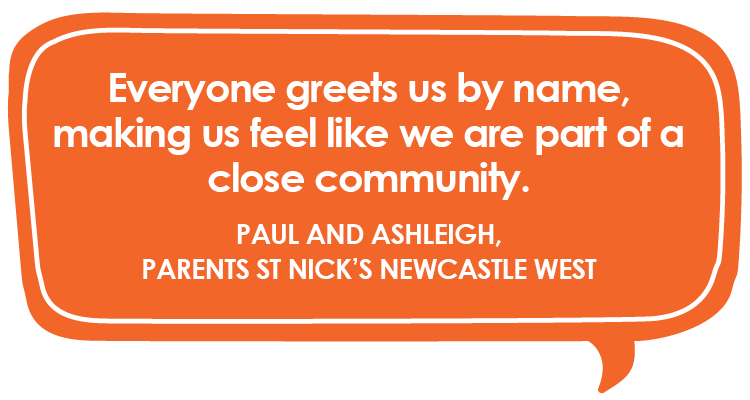 It’s not just a friendship, it’s a family-oriented centre and it’s very special,” Sarah says of the St Nicholas Singleton community. 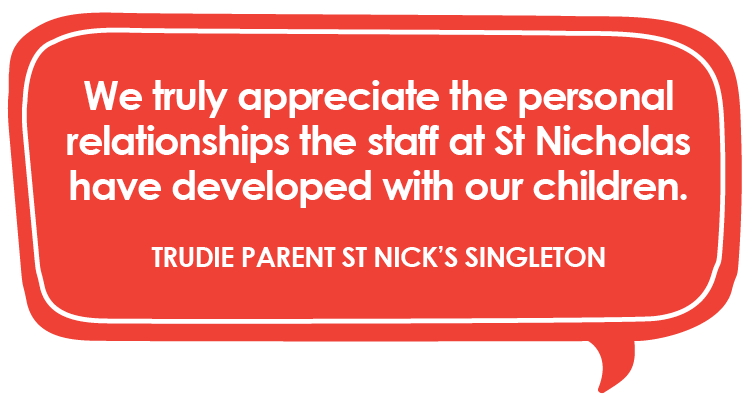 She also likes how accommodating the St Nick’s team are with regard to her personal concerns about saying goodbye to her children each day, particularly when they first started at the centre. 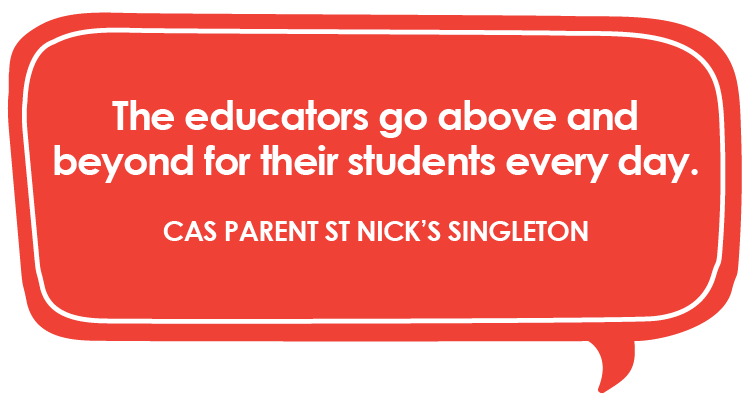 St Nicholas Singleton encouraged her to take all the time she needed to farewell her children and to call as many times throughout the day as she saw fit. 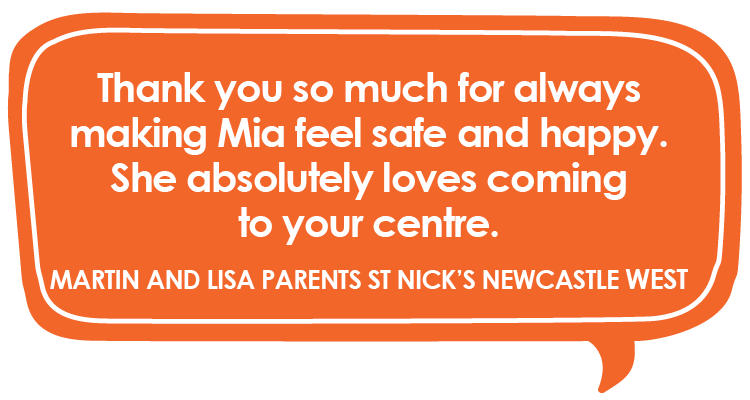 The team was more than happy to go above and beyond to ensure Sarah was comfortable and confident leaving her children at the centre. “The girls were amazing. They would take [my son] and come to the window or outside so I could wave. If I wanted to ring ten times a day or ten times an hour, they were more than happy,” she says of the educators’ willingness to cater to each parent’s individual needs. The Transition to School Program is something that has also appealed to Sarah. She likes that St Nick’s takes the children over to the neighbouring school [St Catherine’s Primary School, Singleton] to show them around and acclimatise them to the environment. “The transition program over to big school is an amazing head start for them. It’s giving them the confidence that they need to start kindergarten. They’ve been there and they know the environment,” Sarah says of the program. 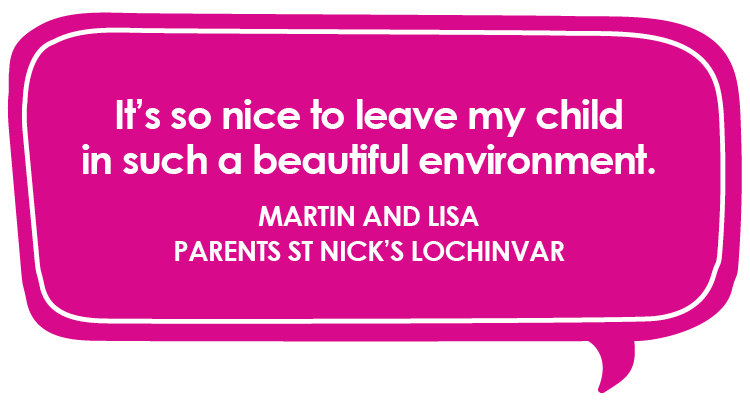 Sarah particularly enjoys the impact the educational programming at St Nicholas has had on her children. “The education is amazing. [My son] is writing his name [and] getting ready for big school next year,” Sarah says. 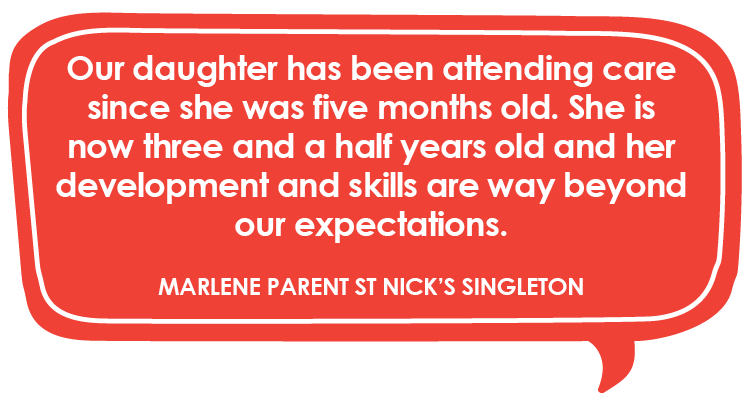 St Nicholas Early Education Singleton is now accepting enrolments. 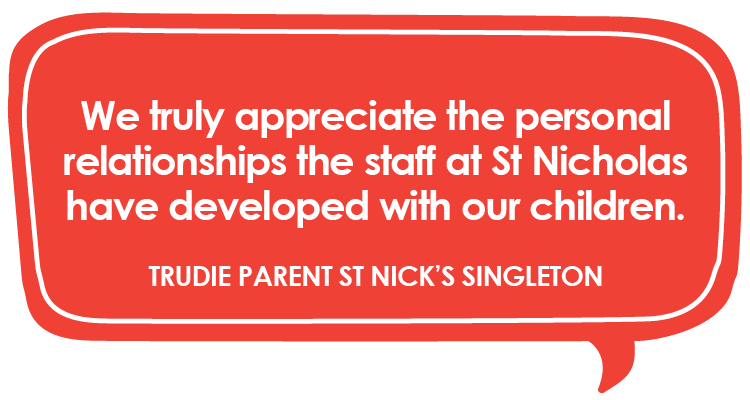 Contact us to learn more about enrolling your child at St Nick’s Singleton.